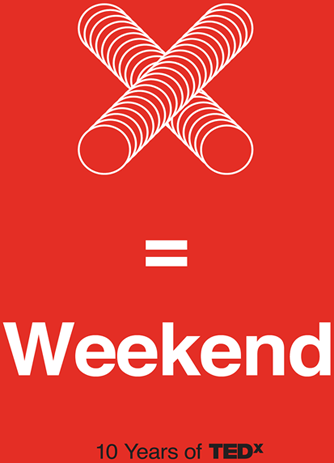 Thank you for your interest in attending TEDxWeekend Johannesburg, in sunny South Africa, on Friday to Sunday, 3 to 5 May, 2019. We’re encouraged by the large numbers of TEDx organisers who have shown interest in our event, both here in Africa and around the world. To optimise connection and diversity, we’ve opened participation to a small and cozy group of one hundred and fifty people that includes anyone from licensees to volunteers. We can’t wait to welcome you all to our exciting city. The TEDxJohannesburg team is hard at work curating a rich and varied programme for you. It includes visiting the most awe-inspiring destinations in the City of Gold, must-do shopping in Africa’s richest square mile (if that’s your kind of thing), workshopping with members of the TED team from New York, and peer-to-peer learning with TEDx pioneers who've been there since Day-1, when this movement started a decade ago. We’d be doing you a disservice if we didn’t throw in a taste of Johannesburg’s nightlife, plus a fair bit of obligatory partying with fellow TEDxers. We’re happy to announce that you can expect both, in spades. If you’re coming in from outside South Africa, we encourage you to get familiar with the basics: for information on visa applications, click here. To learn more about the city of Johannesburg, click here. The TEDxJohannesburg team has organised special but limited accommodation for participants, at no cost to you, so you have one less thing to worry about. Make enquiries here. Do hurry, places are limited. Keep in mind that this event is free, and open to TEDx organisers and volunteers only.